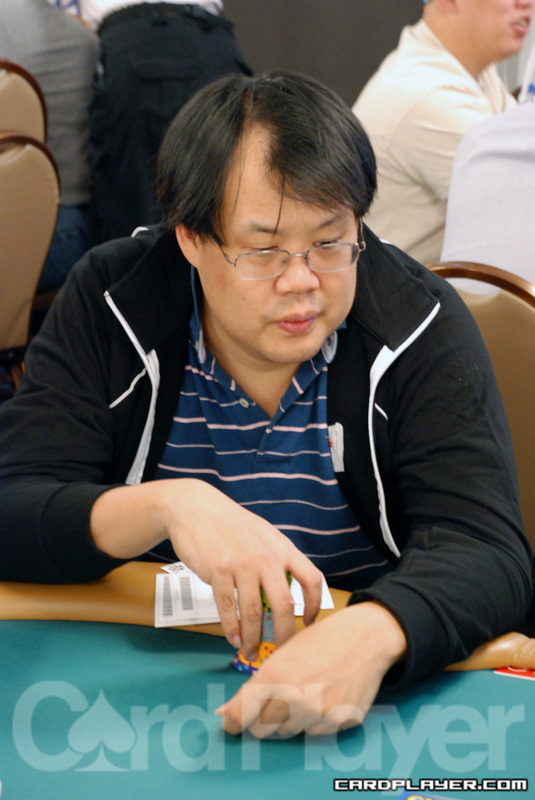 Joseph Cheong played very little hands on Day 1a yesterday, but today he’s back for more. Cheong sat down to the right of Brendon Rubie who decided not to play yesterday. This table also has Chris DeMaci who busted out yesterday as well. Salman Behbehani is also among the big spenders in this tournament as he put up another $5,000 as well to play today. Behbehani is seated to the immediate left of Justin Young. Tom McCormick is also seated at this table. 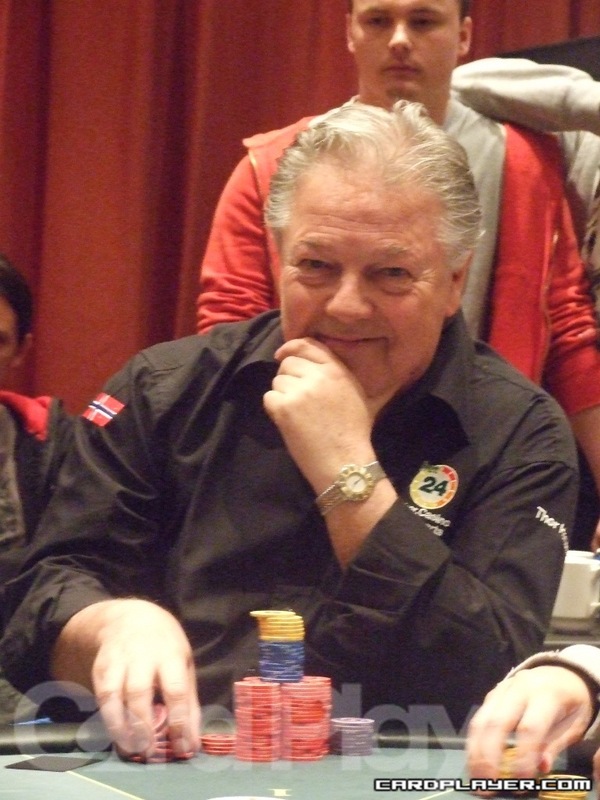 On top of all this we also spotted Norwegian poker legend Thor Hansen. 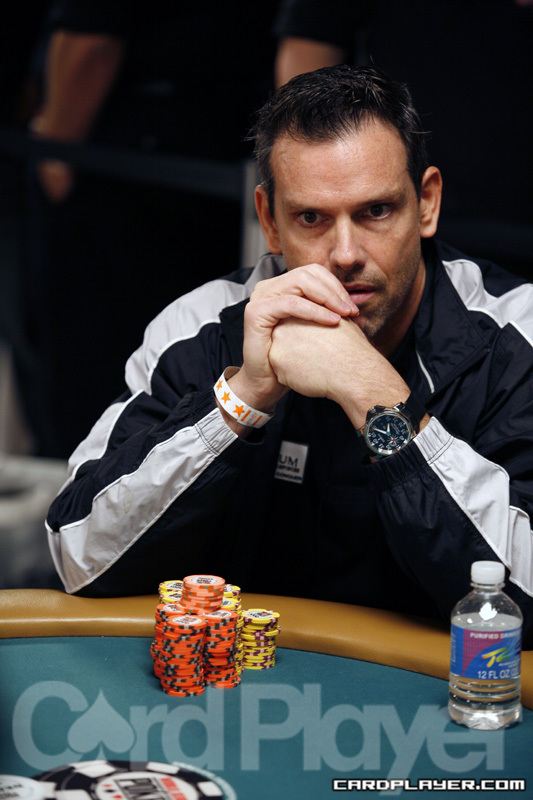 Hansen has two WSOP bracelets, almost three million in career tournament earnings and 48 lifetime WSOP cashes. Cariveau grew his stack to 330,000 and Hansen was eliminated in 25th place. He will take home $25,339 in prize money. 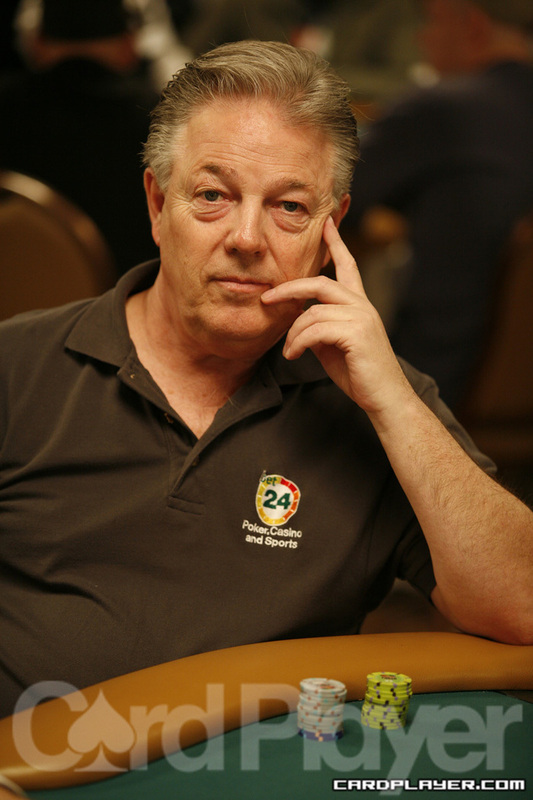 Palmer was eliminated in 31st place and he took home $21,116 in prize money. Hansen grew his stack to 175,000. Thor Hansen has busted out of the tournament just short of the money bubble. There are 20 players remaining, two more to go until the money bubble bursts. With a few limpers already in the pot before him, Greg Raymer checks his option in the big blind to a flop of J 8 4 . Raymer bets 400 and the player in seat 6 calls. The turn is the 6 , and this time Raymer bets 700, seat 6 calls. The river is the 10 , and Raymer bets 2,000. Seat 6 tanks for a while before mucking his cards. “It’s a bad hand to try and win the rock with”, says seat 6. 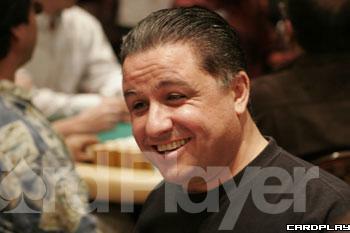 Raymer laughs and turns over A A as he rakes the pot, bringing his chip count up to 32,000 this hand. On a board of Q 8 3 J , Vadim Trincher bets 500 on the turn and Thor Hansen calls. The river is the A , Trincher checks and Hansen bets 1,000. Trincher thinks for a minute before calling. Hansen turns over K 10 for the Broadway straight on the river. Hansen climbs to 35,000 this hand while Trincher slips back down to even. On one of the tables deep in the sea of players, two were all in and another was faced with a tough decision. On a board of 4 4 3 5 , one player held the 5 4 another held the 5 4 and the third man had pockets threes. The guy with pockets threes flopped a full house but was massacred when the other two opponents in the hand filled up as well when their trip fours hit their kicker. In the first hour of the day, the player with the pocket threes made the good, yet annoying fold. Barry Greenstein raised under the gun to 300 and got three callers. 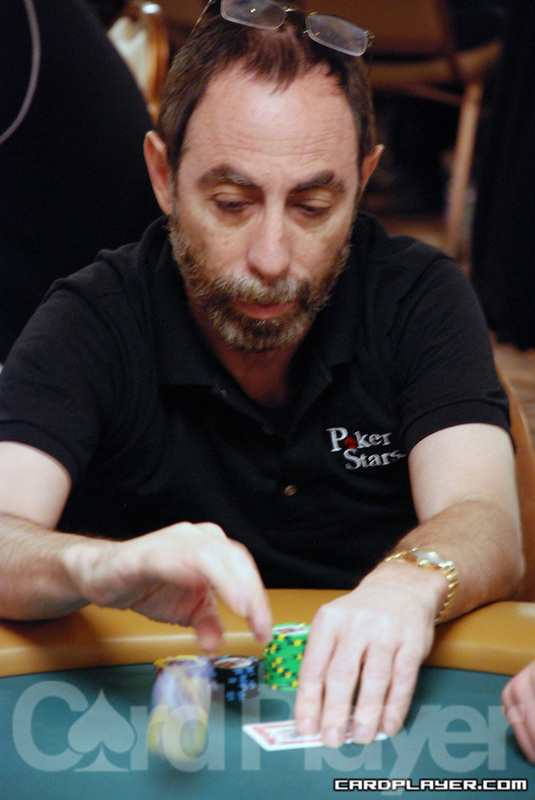 The flop came 6 4 4 and Greenstein led out with 800. Only one opponent called and the 4 hit the turn. Greenstein elected to bet 2,000 and his opponent quickly called. The river brought the Q and Greenstein bet another 2,000 which was quickly called once again. Greenstein tabled two nines but his opponent flipped up two kings. Greenstein is at 24,900. Jeremiah Smith gets it all in pre-flop with aces against his opponent’s pair of kings. Smith’s aces hold up as he takes an early chiplead here in Level 1 with 60,000+ in chips. Note: The players have gone on a 90-minute dinner break and will return at 8:10 p.m.
Just a few hands after Hoyt Corkins doubled up to over 70,000 he was knocked right out of the main event. A player in middle position raised to 1,400 and the cutoff made the call. The button also called and the action was on Corkins in the small blind. He shoved for 60,000 more. The middle position player quickly called, having Corkins covered. The other two players mucked. Corkins then tabled A K and was in deep trouble against the K K of his opponent. The flop came down J 10 10 and Corkins was actually a favorite to double up. The turn was the 4 , dropping those percentages a bit and the J on the river put the final nail in the coffin, sending Corkins out of the main event. 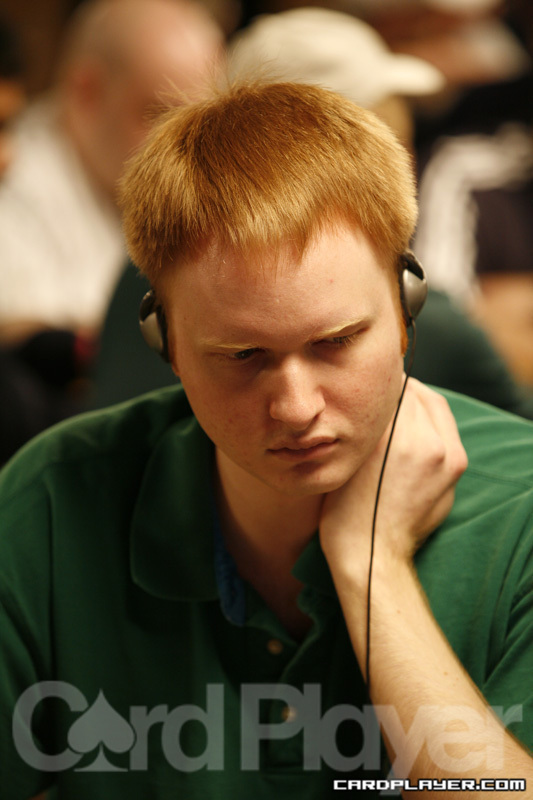 After a flop of K 9 6 , 2009 bracelet winner Keven Stammen was facing a bet from his opponent. He raised all in and was called. Stammen turned over Q 10 for a gutshot straight draw along with a backdoor flush draw. His opponent showed K 5 for top pair and the lead. The turn changed all that when the J made Stammen’s straight. The river was the K , giving his opponent useless trips and Stammen was over 100,000 with the win. 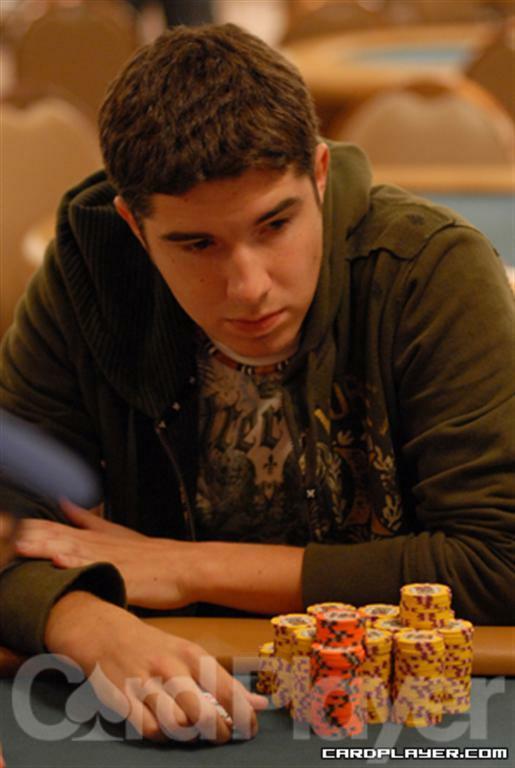 After a flop of A 10 8 , Cajelais ended up all in after he got in a raising war with Samer Rahman. Cajelais showed A 3 for top pair but Rahman showed A Q for the same hand with a better kicker. The turn was the 6 and the river was the K and Cajelais was out of the main event. Rahman was up to 325,000. Jimmy Fricke called his opponent’s all in bet of 11,000. The opponent showed A 10 and Fricke tabled K K .
If only the hand would have ended there, Fricke could’ve had a knockout under his belt. But the flop fell and brought A A Q , giving the all-in player trips. The turn was the J , giving Fricke a straight draw but eliminating a king as one of his outs. The river was the 9 and Fricke lost the pot. He was at 95,000. A player raised to 1,700 preflop and the action was on Thor Hansen. He reraised to 5,500 and his opponent came right back over the top to 16,000. 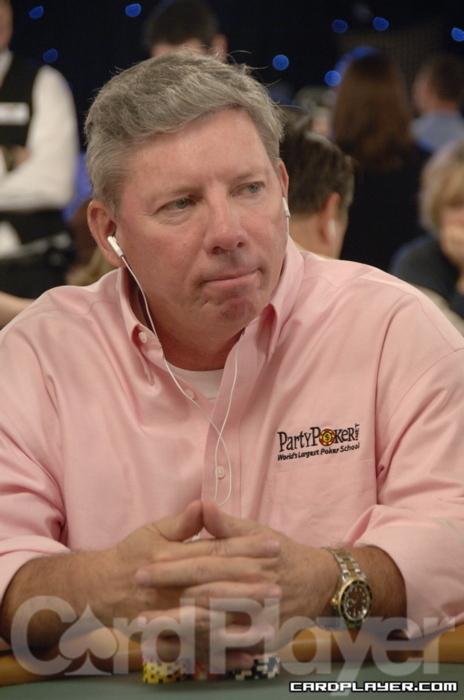 Hansen then moved all in for 36,000 and his opponent made the call. Hansen then revealed A A and his opponent tabled K K .
The board offered no help to the cowboys and Hansen doubled up to 77,000. Brad Garrett raised to 1,300 preflop and the blinds came along for the ride. The flop came down 8 2 6 and the small blind led out for 3,400. Garrett was the only caller and the K came on the turn. The small blind fired 6,000 and Garrett mucked. The small blind then showed 5 4 for just a flush draw and Garrett was down to 43,000. Kara Scott limped in preflop for 600 and everyone else at her table did the same. This put more than 5,000 in the pot before the flop. It then came down A 5 5 . Scott took the initiative and bet out 3,000. The eight other players at the table mucked and Scott took a nice little pot. She was around 80,000. The player in seat 4 raised to 1,500 preflop and John Hennigan called from the cutoff. The big blind also came along and the flop came down 9 6 5 . Action was checked to Hennigan and he bet the pot with 3,500. The big blind made the call and seat 4 mucked. The turn was the A and both players checked. The river was the 4 and the big blind checked to Hennigan, who fired 15,000. The big blind tanked for a while and then called. Hennigan tapped the table, signifying he was caught with nothing and the big blind took down the pot with just 7 5 , a pair of fives. Hennigan was down to 53,000 after that failed bluff attempt. He would later bust. The player in seat 6 raised to 1,500 preflop and Thor Hansen made the call from the big blind. The flop came down Q 8 4 and both players checked. The turn was the K and Hansen led out with 2,200. Seat 6 called and the river was the A . Hansen led out again, this time for 7,200. Seat 6 gave up his hand and Hansen was at 44,000. Four players saw a flop of A 4 2 and they all checked. The turn was the 2 and Eli Elezra bet 4,000. The player in seat 7 called and the other two players mucked. The river was the 8 and Elezra checked. Seat 7 took control, betting 5,000. Elezra then went into the tank for a minute. After a bit of waiting, seat 7 leaned his hand to the middle of the table, ready to either turn the hand over or throw it in the muck depending on what Elezra did. Elezra then playfully reached across the table and tried to flip over his opponents hand. Seat 7 held on for dear life and Elezra just mucked his hand. “You aren’t turning my hand over,” seat 7 said. “He wasn’t really gonna do that,” Michael Kamran replied from seat 3. “He got scared,” Elezra joked. Everyone had a good time, especially seat 7 since he took the pot. Elezra was at 44,000. 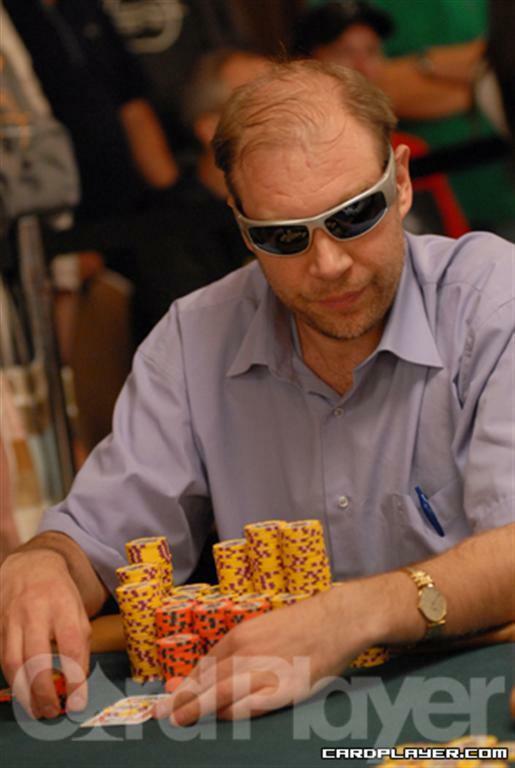 Phil Laak has been eliminated from the 2009 main event. He made his last stand with Q 9 and was actually racing against his opponent’s 8 8 . Unfortunately for Laak, he could not pull out the hand and he was eliminated. Chris Ferguson now has a few extra chips to toss around as he has doubled up. Ken Kelly raised to 2,000 from the button and called from the small blind. 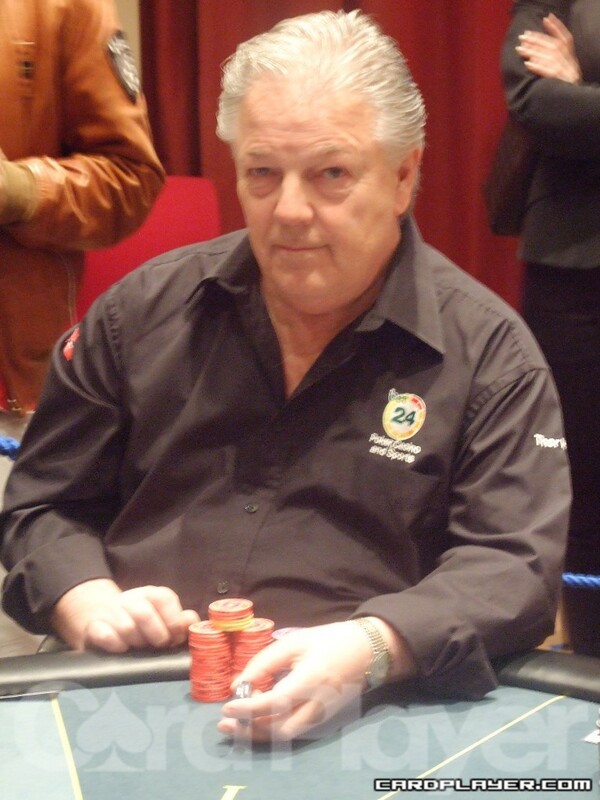 The two players saw a flop of Q Q 2 and Ferguson led out with 8,000 chips. Kelly made the call and the 7 fell on the turn. Ferguson led out again, this time for 17,000. Kelly came over the top with all of his chips, having Ferguson covered. Ferguson made the call and showed A Q . Kelly tabled A K for just ace-high. The river was just a formality, bringing the 9 and Ferguson doubled up to 145,000. Hoyt Corkins moved all in preflop for his last 4,000 chips. He was called by one opponent who tabled A J . Corkins was in good shape with A K . The board ran out 8 7 4 10 5 and Corkins doubled to 8,000. On a flop of 10 4 2 , Mike Sexton led out with 1,500. His opponent then raised to 4,500 and Sexton made the call. The turn was the 9 and both players checked. The river was the 4 and Sexton got back to his betting ways, firing 8,000. His opponent made the call and Sexton tabled K 8 for the flush and his opponent mucked. Sexton took the pot and was at 79,300. Tom Schneider and Keith Burt got all of their money in preflop and their hands were turned over. Schneider held A K and Burt showed 9 7 . The board ran out 5 2 2 2 6 , leaving Burt with just nine-high and giving Schneider the pot. 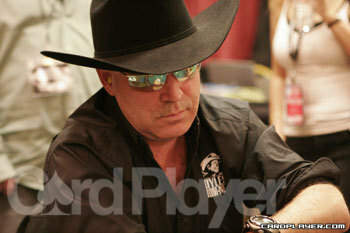 Burt is eliminated from the tournament, while Schneider’s stack is increased to 950,000. Hieu Luu raised to 20,000 preflop and was called by Joe Sebok from the small blind. The flop was 5 3 3 and Sebok checked. Luu fired 30,000 which was called by Sebok. The turn was the 8 and both players checked. The 9 fell on the river and Sebok bet 70,000 and was called by Luu. Sebok showed A 10 and Luu turned over pocket tens to take the pot. Oliver Klatt moved all in preflop and the action folded to Isidro Martinez. He moved all in having Klatt covered and the action was on Blair Hinkle. He then came over the top for all of his chips, having both men covered. Everyone else mucked and the hands were turned up. Hinkle was in great position to score a double knockout, but the flop came down J 9 4 , giving Klatt a set of nines. The turn was the A and the river was the J , scoring a triple up for Klatt. However, he only had 125,000 total, leaving a small dent in Hinkle’s stack. Hinkle won the side pot against Martinez and after all the chips were counted, Hinkle made a profit out of the deal, his chips around 2 million. Picking up the action on the turn, the board read 9 3 3 6 and Sarne Lightman fired 150,000 into a pot of over 225,000. David Benyamine took a few seconds to count out his stack, then moved all in for 135,000 more. Lightman then took a tank session of his own and decided to muck his hand, surrendering the large pot to Benyamine. Benyamine was around 680,000. Kenny Tran raised to 23,000 from early position and was three-bet by a player in late position to 100,000. Tran went into the tank for several minutes before making the call. The flop came J 4 9 and Tran checked to his opponent. His opponent didn’t make any movements and was just staring around the room, until the dealer informed him that Tran had checked and the player decided to go all in. Tran fairly quickly folded and folded pocket queens face up. To his dismay, his opponent turned over A 10 , for just ace-high. Dennis Phillips and Thor Hansen got all of their chips into the middle preflop and Phillips had the best of it when he turned over A K against Hansen’s K Q .
Hansen said he was good with the ladies, but his mojo was a little low today as the board ran out 7 5 6 7 5 , keeping Phillips’ big slick in the lead and eliminating a tough opponent from the tournament. David Bach raised to 36,000 preflop and Freddy Deeb made the call. The flop came down J 9 6 and Bach bet 18,000. Deeb raised to 36,000 and Bach called. The turn was the 7 and Bach check-called a 36,000 bet from Deeb. The river brought the 7 and Bach check-called another bet of 36,000 from Deeb. Deeb showed down K Q for a whole lot of nothing and Bach showed 5 5 for the best hand. Bach made two hero calls and was rewarded with the pot, improving his stack to 600,000. David Bach raised to 36,000 from the cutoff and the action was on John Hennigan in the small blind. He three-bet to 54,000 and action was back on Bach after the big blind folded. Bach added another bet to 72,000 and Hennigan called. The flop then came down J 8 2 and Hennigan checked. Bach fired 18,000 and Hennigan made the call. Both players checked the 7 on the turn and Hennigan fired 36,000 on the K river. Bach made the call and Hennigan tabled A J 8 2 for two pair. 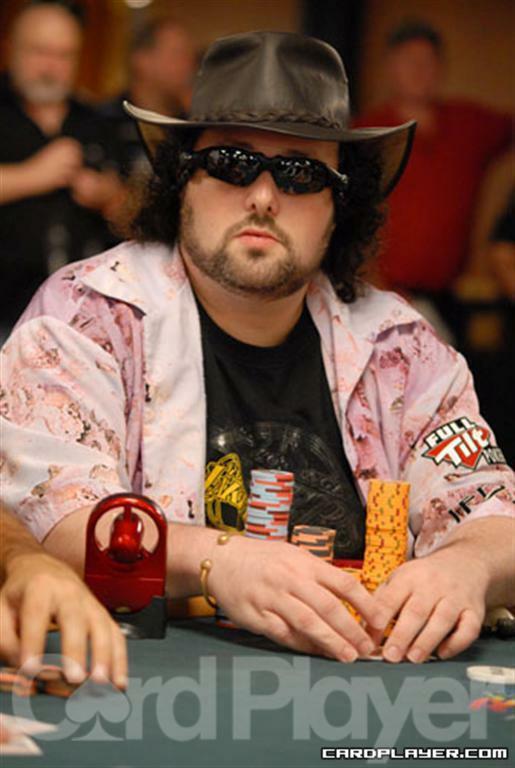 Bach then turned over A K 10 2 for a better two pair and Hennigan was left crippled with just 43,000 in chips. A few hands later, Hennigan would be eliminated by Mike Wattel’s nut flush. Scotty Nguyen made his last stand just before day 3 came to an end. He was all in for his last 28,000 preflop against Frank Kassela. Here is how their boards looked. The flop gave Nguyen four cards to a low but the following two streets did refused to help the defending champion and he was eliminated. 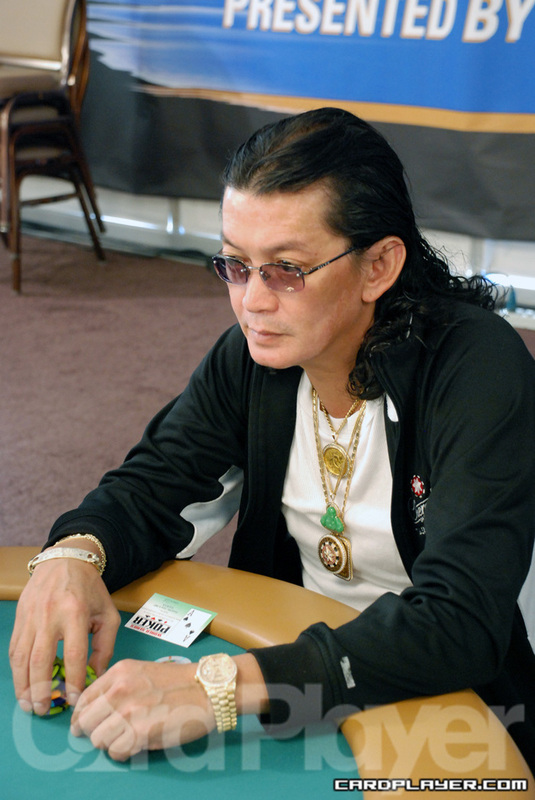 Bill Chen was short on chips and found himself at risk on third street against Ray Dehkharghani. Here is how their boards ran out. Chen was only able to make a king-low and Dehkharghani made a 10-low to knock Chen out just a few spots shy of the money. 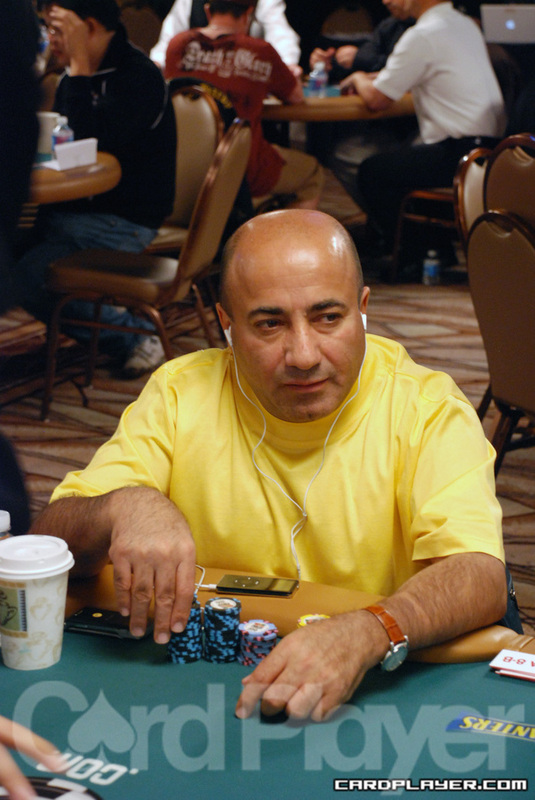 Dehkharghani took the pot and was at 400,000 after the knockout. Steve Billirakis completed to 18,000 and Thor Hansen raised to 36,000. Billirakis made the call and here is how their boards looked heading into fourth street. Billirakis led out with 18,000 and Hansen raised to 36,000. Billirakis made the call. Billirakis bet 36,000 and Hansen raised all in. Billirakis made the call and turned over (10 10 ) from his hole cards for a set. Hansen showed (A A ) for cracked aces. Billirakis’ board finished out 5 (8x) and Hansen needed an ace on the final two streets to stay alive. He received a 3 on sixth and looked down at his river card to try and pull out a miracle. Instead, he threw it in the muck and Billirakis took the pot, eliminating Hansen. Huck Seed, Vitaly Lunkin and Frank Kassela were each involved in a hand. Kassela brought in for 5,000 and Seed completed to 18,000. Kassela and Lunkin both called. Here is how their boards looked entering fourth street. Action was checked to Seed who fired 18,000. Both opponents called. Action was checked to Seed again and he fired 36,000. Lunkin made the call but Kassela had enough and mucked. Lunkin made two pair on sixth street and led out with 36,000. Seed made the call. The river was dealt and both players checked. Lunkin then tabled (8 6 10 ), nothing to add to his two pair on the board. Seed could not beat it however and mucked. Lunkin was at 980,000 while Seed was at 655,000. Picking up the action on fourth street, Steve Billirakis, David Chiu and Matt Glantz were involved in a hand. Billirakis bet 18,000 and both opponents called. Billirakis bet 36,000 and Chiu called. Glantz called the remainder of his stack and he was all in. Billirakis bet 36,000 and Chiu called. The river was dealt and Billirakis checked. Chiu fired 36,000 and Billirakis let his hand go. Chiu then tabled (A 5 8 ) for the nut flush and Glantz mucked his hand and exited the tournament area. Mikhail Tulchinskiy found himself all in against Erik Seidel. Here is how their boards ran out. Seidel was rolled up with three eights but Tulchinskiy got something to fight back with when he received a third three on fourth street. They drew blanks until the river where Tulchinskiy scored a full boat. Unfortunately, Seidel also hit a boat and his was bigger. Tulchinskiy got up and made his exit from the tournament. Hasan Habib raised to 60,000 preflop and the action was on Scott Clements. He reraised all in and Habib made the call. 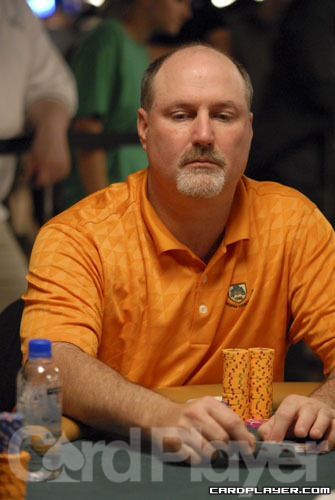 Clements started in bad shape but flopped a set and never looked back, doubling to 120,000. A few hands later, he and Thor Hansen tangled resulting in Clements’ chips ending up in the middle again. Clements had A K while Hansen held 10 10 . The flop was harmless for Hansen as it came 8 8 7 . The turn was another blank in the J , but the river was the K and Clements doubled again to 240,000. Gus Hansen raised to 60,000 from the button and Huck Seed called from the small blind. 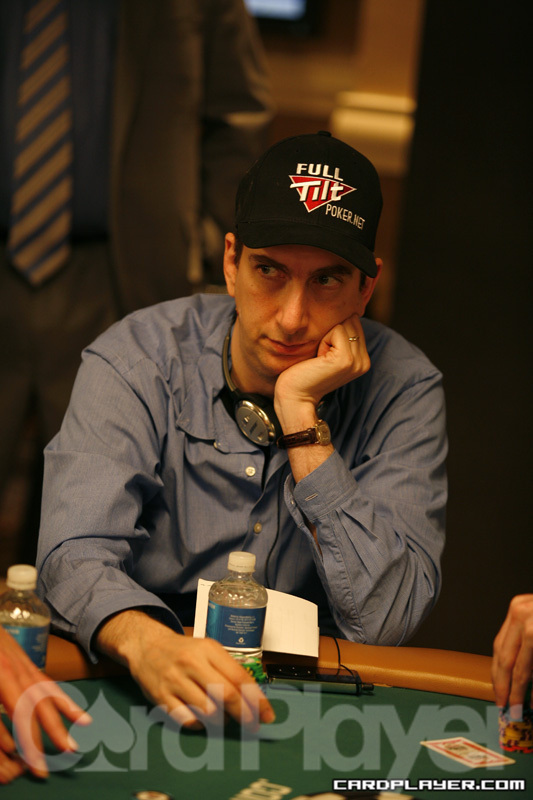 Erik Seidel called from the big blind and the players saw a flop of 10 7 2 and Seed checked. Seidel bet 30,000 and Hansen raised to 60,000. Seed and Seidel both called and the Q fell on the turn. Everyone checked and it was the same story for the 2 on the river. Seed then turned over A Q 3 3 for top pair and the pot. He was up to 250,000. Freddy Deeb and Matt Hawrilenko tangled in a hand and the pot had a lot of chips in it by seventh street. Here were their boards. Hawrilenko fired 30,000 into the pot an Deeb thought for a while. He decided to look up his opponent and Hawrilenko turned over (A-A-3) for a jack-low. Deeb turned over 3-7-10) for a 10-low and he took down a nice pot. He was up to 650,000 while Hawrilenko was at 175,000. 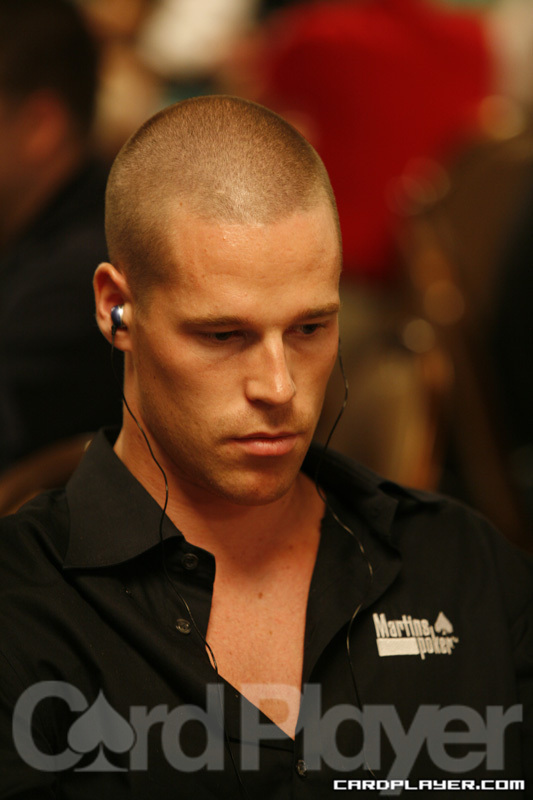 Patrik Antonius just busted after getting involved in a hand with Erik Seidel and Gus Hansen. Hansen completed to 15,000 and Antonius moved his last 24,000 into the pot. Seidel and Hansen both called. Seidel bet 30,000 and Hansen made the call. 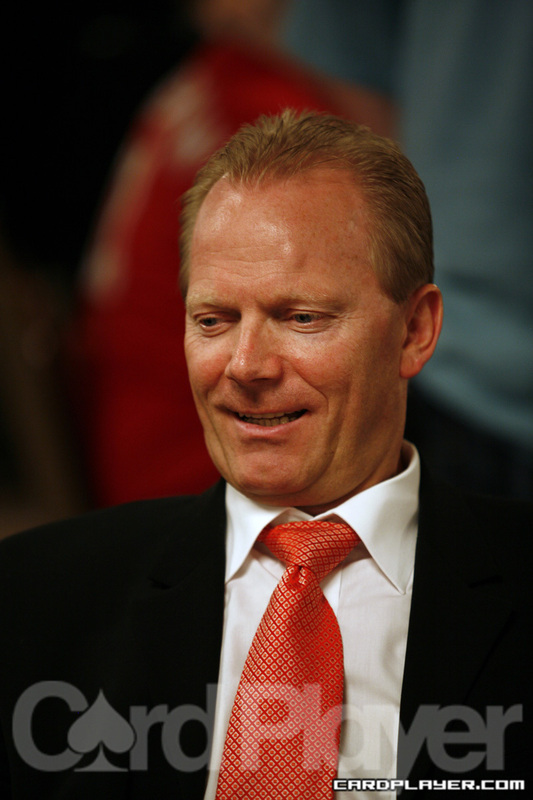 Hansen was first to act now and he bet 60,000. Seidel made the call. 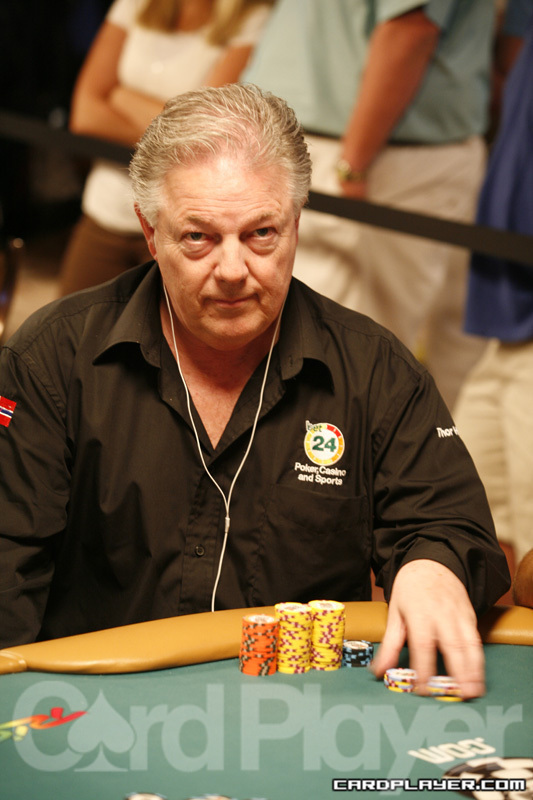 Seidel bet 60,000 after Hansen paired on sixth street. Hansen made the call. The river was dealt and Seidel bet again. Hansen finally mucked and Seidel showed (2-3-7) for the wheel. Antonius mucked and he was eliminated. Scott Clements managed to double up twice early in the level but the chips didn’t last long as he found himself all in against John Hanson. Here is how their boards ran out. Clements started with three diamonds and was given another one on fourth street. Hanson had two pair by fourth street and Clements needed just one diamond to hit his flush on the next three streets. But Clements saw nothing but black cards for the remainder of the hand and he was eliminated. Scotty Nguyen and Ville Wahlbeck tangled in a hand. Nguyen completed to 15,000 and Wahlbeck made the call. Here is how their boards looked heading into fourth street. Nguyen bet 30,000 and Wahlbeck made the call. Nguyen bet 60,000 and Wahlbeck called. Nguyen bet another 60,000 and Wahlbeck made the call. The river was dealt and Nguyen checked to his Finnish opponent. Wahlbeck then bet 60,000 and Nguyen called. Wahlbeck turned over (A 8 5 ) for the nut flush and an 8-7 low. Nguyen mucked and Wahlbeck scooped the pot, improving to 950,000 while Nguyen was at 167,000. Both Jon “PearlJammer” Turner and Jim Bechtel were all in against recent bracelet winner Ville Wahlbeck. Wahlbeck exposed a jack in the hole for jacks up to take down the side pot. Turner scooped the main pot with a 6-4-2 for a eight-high straight and the winning low. Bechtel mucked and was eliminated from the tournament. Turner won another hand immediately after and was at 150,000 in chips. The short stacks of Jon Turner and Scott Clements were locked up in a hand. Clements bet on fifth street and Turner reluctantly called all in. Clements scooped the pot with a wheel and six-high straight, eliminating Turner. Clements is up to just 190,000. At the end of the hand, David Bach bet and Thor Hansen made the call. Bach exposed a full house to rake in the pot and move up to 400,000. Hansen is short with just 172,000. 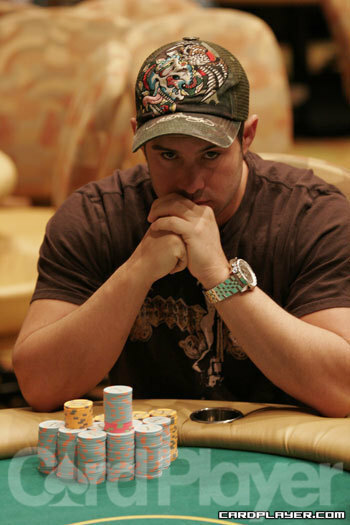 Patrik Antonius had Ralph Perry covered and at risk on fifth street. Antonius needed help against Perry’s pair of fives and got it on the end when he was given the Q for two pair. Perry was eliminated from the tournament. The players are on a 90 minute dinner break. Norwegian Anders Langset raises with pocket tens, Thor Hansen reraises with A-K, Langset pushes and Hansen calls for that age old race. There are no surprises and nothing of interest on the flop and Hansen goes out in 17th place for €16,371. International legend Thor Hansen just doubled through chip leader Rasmus Nielsen. Hansen's A A was determined not to be cracked by Nielsen's J J as the board fell 8 2 2 6 10 . Nielsen takes a small hit, but Hansen only needs a little more ammo to unleash some havoc on this feature table. Noah Boeken and Bill Edler tangled again, with Edler claiming his revenge on this occasion. Boeken raised from middle position and Edler re-raised him. The table folded around and Boeken made the call. The board came Q 5 5 T 8 and Boeken check-called Edler on every street. Edler tabled A Q and Boeken rapped the table, flashed a queen, and mucked his cards. With that pot Edler is up to 28,500. With only four big blinds left, Vivek “psyduck” Rajkumar got all of his chips into the middle with A J against his opponent’s A 2 . When the board ran out K T 3 K 5 , Rajkumar was up to 5,000 chips. Unfortunately his day would not last much longer and he busted 15 minutes later. We here at Card Player never tire of Marcel Luske’s antics. While many players’ shenanigans can be cruel and tragic (which makes them not really shenanigans at all) Marcel’s are always good-natured and amusing. 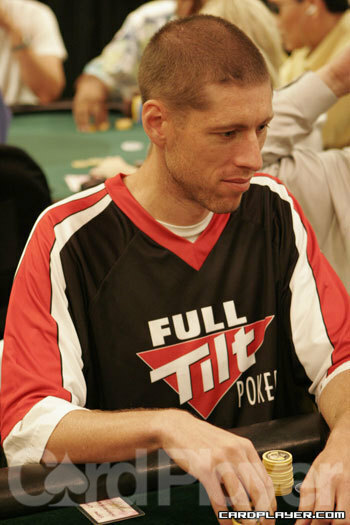 After rivering a straight against Matt Hawrilenko to stay alive in the tournament, Luske leaned close to the table, laid his necktie flat on the felt, and made a very simple request to the dealer: “Gimme da money.” The dealer – like all of the players at the table – was entertained by this turn of events and obliged the Dutchman, placing the chips on his tie. As Luske dragged the pot in a most unusual manner, Terrence Chan asked Hawrilenko, “Now wasn’t it worth it to lose that small pot?” Unfortunately for lovers of fanciful fun and dapperly-dressed Dutchman, Luske would be eliminated later in the level. Marco Traniello has just taken two pots off of Josh Arieh and increased his stack to 28,000. In the first pot Traniello raised from the button and Arieh called in the big blind. The two checked a A J 2 flop, and Traniello took it down on the turn (4 ) when Arieh check-folded. Traniello’s recent run has propelled him up into the upper-third of today’s players. Arieh is down to 18,500, and Theo Tran is lingering at 13,000. Forrest bet out on 4th and 5th streets and was called by Raymer each time. Forrest slowed down on 6th street, check-calling Raymer’s bet. Forrest again checked after the final card and reluctantly called one last bet. Raymer revealed (A )(Q )(9 ) for an ace-high flush, enough to take down the pot. Raymer’s stack is at a healthy 32,000, while Forrest is languishing at only 7,500.
the action heated up. Hansen checked, Fischman bet, Brown raised, Hansen called the two bets, Fischman 3-bet, and Hansen and Brown both called. On 7th street, Hansen checked, Fischman bet, Brown raised, Hansen folded, and Fischman called. Brown showed (2 )(4 )(2 ) for a boat made on 7th street and Fischman dejectedly mucked. Fischman and Brown each have about 30,000 in chips. The story isn’t so rosy for Thor. After the hand he was left with 3,000, which he lost on the very next hand. 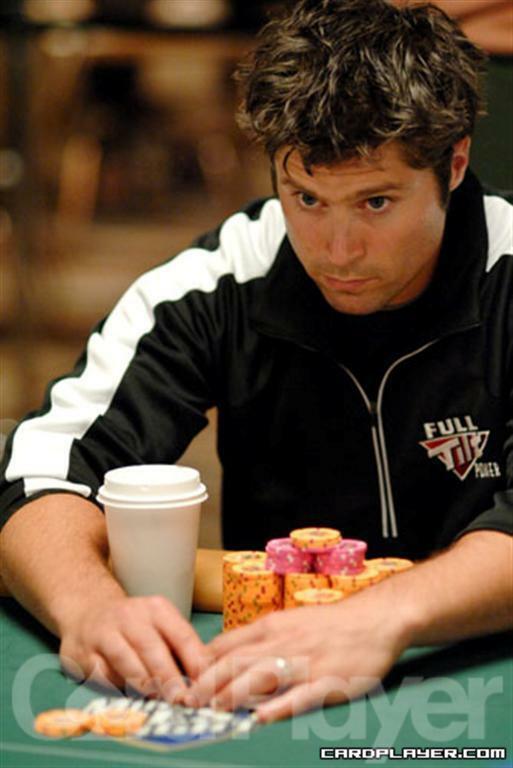 Karas bet all the way down the line, receiving a call from Hellmuth on each and every street. When Hellmuth made the call on 7th street, Karas slowly – perhaps too slowly for Phil’s liking – turned over (K )(K ) for quad kings. Hellmuth mucked his hand and was left with only 8,000 after the hand. The pot takes Karas up to 25,000 in chips.